Salmon is delicious regardless of how it’s seasoned or cooked. 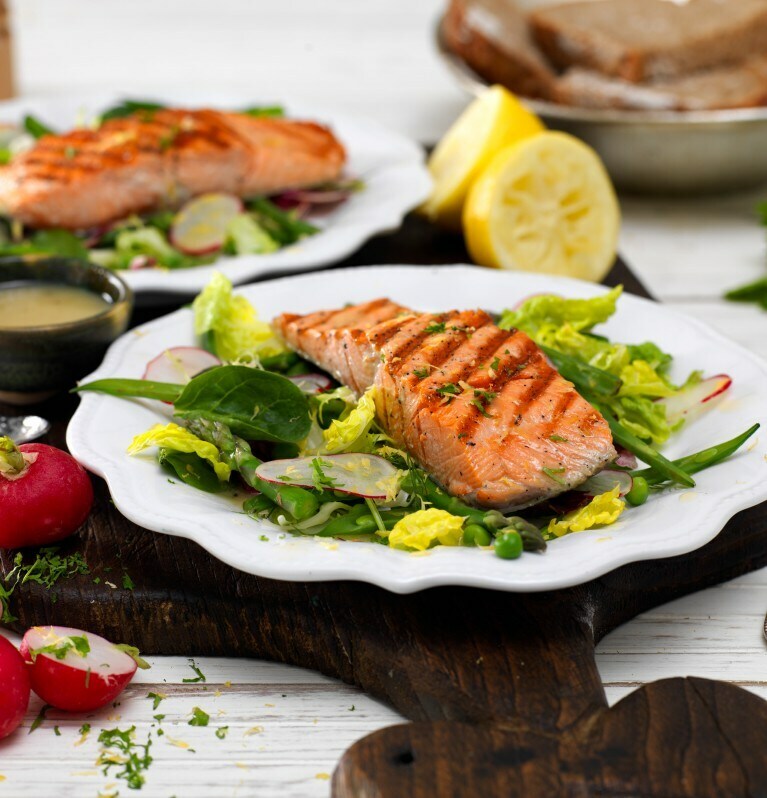 Here are some tips on how to select, prepare and cook salmon. Fish should smell like the sea—not overly fishy. If it does, this means the salmon isn’t fresh. 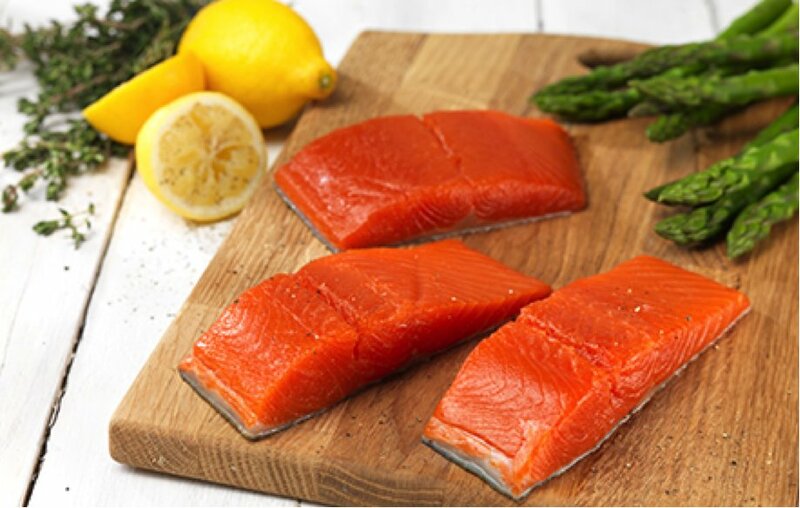 Choose fish fillets with smooth cuts. Fillets that look dry, have gaps in the flesh, or aren’t firm to the touch, are probably from old fish. Heat a little olive oil, add Knorr Homestyle Vegetable Stock and stir well over very gentle heat for 2-3 minutes. Remove from heat and leave to cool for 10 minutes. Add some lemon juice and sliced garlic. Pour the liquid over the salmon and marinate for 30 minutes before grilling. Grilling Salmon: Lightly oil the grill to prevent sticking. Keep salmon skin on when grilling to help keep fish in tact. The skin can be easily removed afterwards. In order to draw out the natural juices of the fish, try sprinkling the salmon with a little salt 2-3 minutes before cooking it. Grill the salmon until it changes color and cuts easily. You can check this by inserting the tip of a sharp knife near the thickest part of the salmon and pulling on it slightly. If it cuts apart easily, it’s ready.